If you are looking for an Interior Designer to help you create a home or office that fits your lifestyle and reflects your personal style, the award-winning staff at MOD Interiors can help you create it. MOD Interiors will collaborate with you to turn your home into a space that reflects your personality while maximizing the functionality of your space. 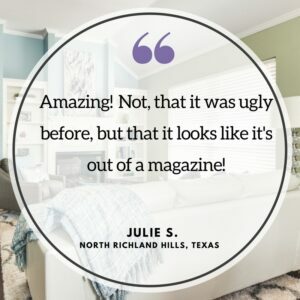 MOD Interiors is a boutique award winning Interior Design studio in Colleyville, Texas. The firm caters to a nationwide clientele and prides itself in creating timeless designs that unite classic style with a modern twist. 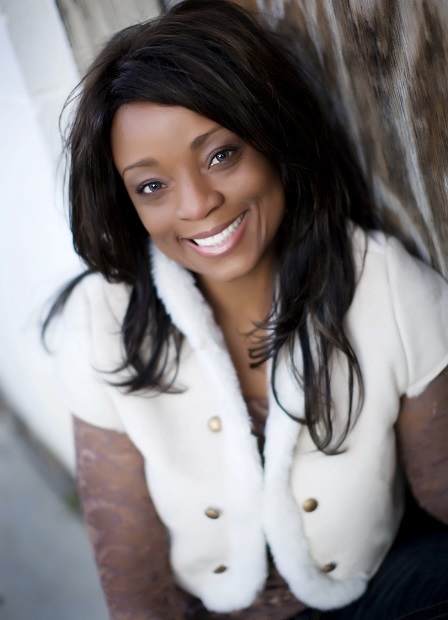 Farrha Hyman, the firms CEO-lead designer has well over a decade of experience designing exceptional living spaces for a variety of clients, in the NE Tarrant County community, Farrha, prides herself in creating timeless designs that unite classic style with a modern twist. 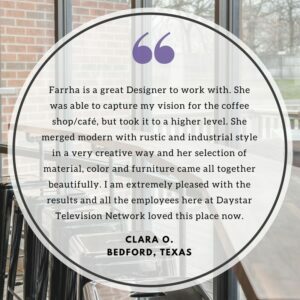 Farrha is passionate about the need for all her design projects to be functional as well as beautiful. She believes that there is a need for stylish and functional design in every home. 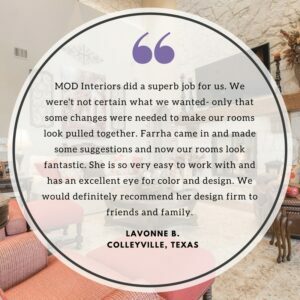 Learn more about what MOD Interiors knowledgeable team can do for you by contacting them here or connect with them on Facebook or Instagram.